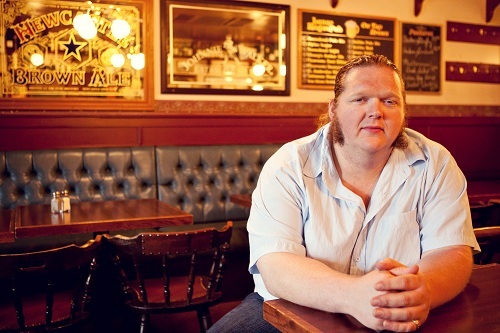 On Sunday March 18th WagonWheel Presents… is delighted to welcome Matt Andersen back to The Greystones. The man described as “Canada’s greatest guitarist” returns to promote brand new album Coal Mining Blues, some tracks from which were previewed at his post Glastonbury performance last June. One of the finest live performers around, we look forward to another great night in his company. Opening the show we have support from the equally fabulous Boss Caine. Advance tickets priced at £7 are available from http://www.wegottickets.com/event/136179 or entry on the night will be £9. Doors open 7.30pm for an 8pm start. The best performing songwriters, the ones who sound like they really mean what they’re singing about, tend to come from areas known for hard times and hard work. Like say, Perth-Andover, a rural blue-collar village in the Canadian Maritime province of New Brunswick—the home of acclaimed singer-songwriter and guitarist Matt Andersen. Matt began to build his name on the Canadian circuit, his imposing voice and slashing slide guitar making a monolithic impression on audiences. He debuted with 2002’s One Size Never Fits, and followed with the likewise-warmly received Solo at Session (2004) and Live at Liberty House (2005). After playing the prestigious 2004 East Coast Music Awards, Matt continued cultivating crowds, appearing with Randy Bachman, Bo Diddley, Little Feat, America, Loverboy, April Wine, and others. He signed with Busted Flat Records for a string of exalted albums: 2007’s Second Time Around, 2008’s Something in Between, and 2009’s Piggyback (a duo set with harmonica king Mike Stevens) and Live at the Phoenix Theatre. By 2009 Matt had become a frequent guest on Stuart McLean’s CBC radio show “The Vinyl Café” and had completed his fourth tour of the UK, where The Times called him “Canada’s greatest guitarist.” In 2010 he became the first Canadian to win Memphis’s famed International Blues Challenge, which led to festival dates in France, Italy, and the US, where he toured with Old Crow Medicine Show. Matt’s newest album, Coal Mining Blues, was produced by Colin Linden (who co-wrote and plays on several tunes) and recorded at Levon Helm Studios in Woodstock, New York. Featuring the Band keyboardist Garth Hudson and Olabelle singer Amy Helm, it’s a rich vein of new songs, many addressing the trying lives of working people: There’s the self-explanatory “Work Hard for the Luxury,” and the moving title track, which rings true in mining communities from Cape Breton to Sheffield and West Virginia. But not all of Coal Mining Blues is about hard work, as rollicking up-tempo cuts like “Lay it on the Line” and “Fired Up” bear out. As Matt Andersen continues to do what he was born to do—play his exhilarating music—fans can look forward to many great nights, indeed. 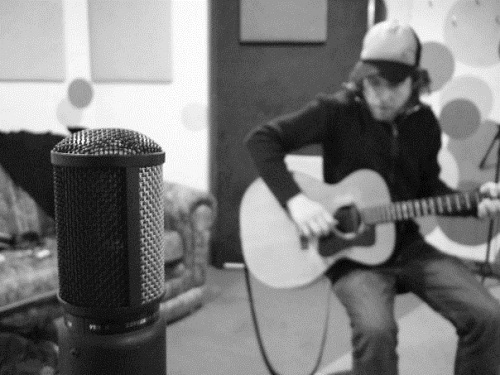 The album was recorded in the North Yorkshire countryside at ‘The Factory of Unprofessional Sound’ and sees Boss Caine’s core team of Lucas, Andy Gaines and Sam Forrest joined by many of the musicians who have played in the band over the last few years. A follow up is expected in 2012.